Street Fighter 4 is finally here, and you are ready for the fight, ready for the competition, and simply ready to beat up your opponents. If the regular Street Fighter 4 Characters moves list is not enough for you, and you want some more characters…then you came to the right place. Below we gathered the unlock methods along with their respective moves for Seth, Akuma and Gouken. This way, once you have already mastered all characters…here are some more for you to fight with. Complete Arcade Mode with all characters (not unlocked ones) along with the bonus character. Once all regular characters are unlocked (not Akuma, Gouken or Seth), play Arcade mode with your favorite character and get minimum two Perfects along with minimum two Ultra Finishes. 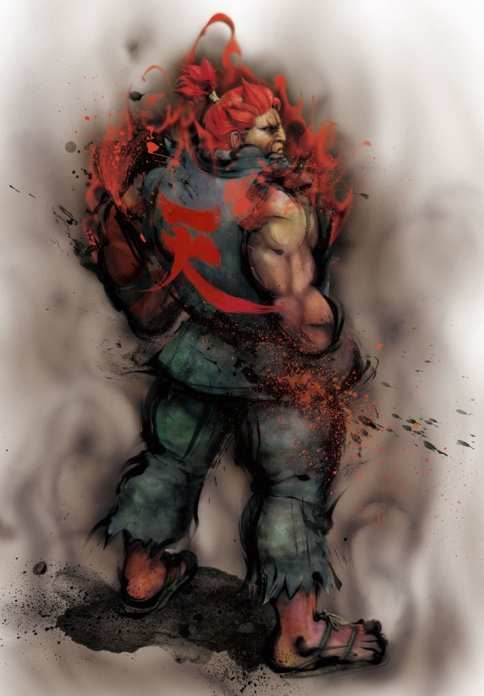 You will be prompted to fight Akuma after Seth, where you must beat him to unlock him. After Akuma is unlocked (see above), play Arcade mode with your favorite characters and minimum two Perfects along with a minimum of three Ultra Finishes. 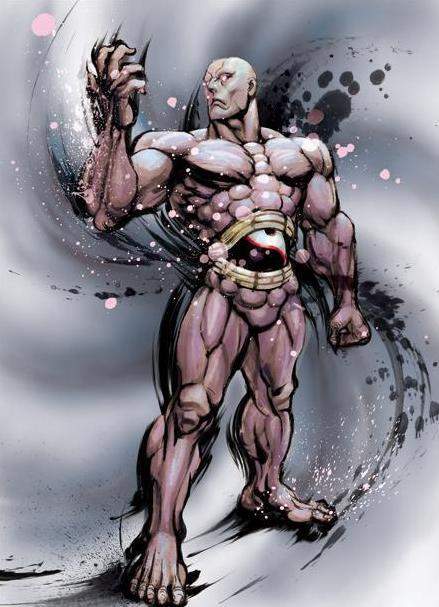 You will be prompted to fight Gouken after Seth, where you must beat him to unlock him. 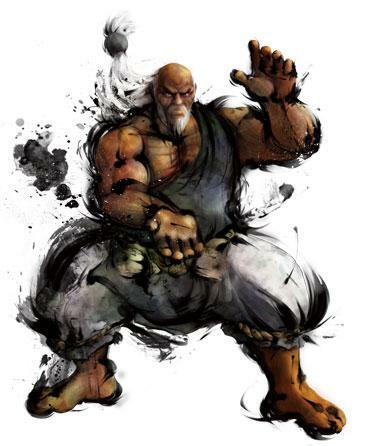 Gouken: After unlocking Akuma, Sakura Kasugano, Dan Hibiki, Cammy White, Fei Long, Gen and Rose. Fight Gouken on arcade mode, to do that, get at least 2 perfects and 3 ultra finishes. Beating him will unlock him. DID THAT…and still NO GOUKEN. i keep fighting akuma at the end. what am i doing wrong?! After you unlocked the following: Akuma, Sakura, Dan, Cammy, Fei Long, Gen and Rose you will be able to fight Gouken when playing Arcade mode. BUT…to get there you must get minimum 2 Perfects and 3 Ultra Finishes WITHOUT dying even once – perhaps that is the dilemma. This should let you fight Gouken, where you must beat him to unlock. Who does “along with the bonus character.” refer to? we just got akuma, that is one perfect and three ultra’s! you have to unlock all the endings!!! no matter what! and then repeat the procedure…whatever they said on the ultras and perfects! i fought gouken and beat him . i did not get him. why is that? i did not lose a round . not even in the fights leading up to it. what did i do wrong? Ok i bought the strategy guide and what it says to do is nothing like what this says to do… but ive done both and still have not unlocked seth. he is supposed to be unlocked after beating the game with all 16 standard characters… ive done that… hell ive even beat it with most the unlockable characters… still nothing. is this a glitch? Akuma: After unlocking all characters except for Seth, Gouken, and Akuma, play Arcade mode with Ryu. During the first two fights, win them with nothing but the “Jump in kick and sweep” method (Fierce Kicks only) and get a “Perfect”. For the third and fourth fights, repeat the method but instead of finishing them off, take a beating to fill your Ultra combo and unleash it to finish them. For the remaining fights, repeat the “Jump in kick and sweep” method to finish the fights (no Ultras necessary). If done correctly, Akuma should appear after defeating Seth. Defeat Akuma to unlock him. # Gouken: Complete Arcade mode with Akuma. How you win does not matter. You will not meet him in the end. Then, go back and finish Arcade mode again as Ryu (using the same method used to unlock Akuma), only this time you will perform an Ultra on the fifth fight in addition to third and fourth. Defeat Seth and Gouken will appear. Defeat him to unlock him. I’ve run into the same problem as some of the others. I’ve unlocked akuma did the whole thing about winning every fight with 3 ultra finishes and 2 perfects I fought Gouken but his character does not unlock. . I’ve done this multiple times what’s the deal?! Someone please help!!!!!!!!!!! Does it matter at what level you finish Arcade Mode? I want to play Gouken really badddd!! BEAT THE GAME WITH AKUMA, watch his ending, THEN BEAT GAME AGAIN WITH ANYONE with 2 Perfects and 3 ULTRA finishes. *condition that applies to all of the above is, no continues, so simply, DONT DIE! You have to beat arcade mode with Akuma and his video will be unlocked. Then complete the game with any character with just 1 perfect and 3 ultras. Gouken is yours!!! to get Gouken, your all almost correct. 2. if you do 1 match only, then 1 perfect, 3 ultra FINISH combo, and 5 FIRST attacks. I unlocked him this way. Yes how do you get seth, I’ve beaten the game with everyone and it’s still not given me seth like I’ve been reading on, does anyone know what to do, or is this a Glitch? im new to this game. how do you unlock the regular charater? i played on very easy,easy and medium with one round . all i got was the movies and no charaters. i did the goku thing but i keep geeting akuma aswell. i put it on 2 rounds to make it easier and i lost 1 round to seth but not the whole battle does this still count? up, up, down, down, left, right, left, right, X, O, start. Great difficulties below. I am just content to visit post. Thank you and I am taking a look toward contact anyone. Would you like to please decrease me a email?